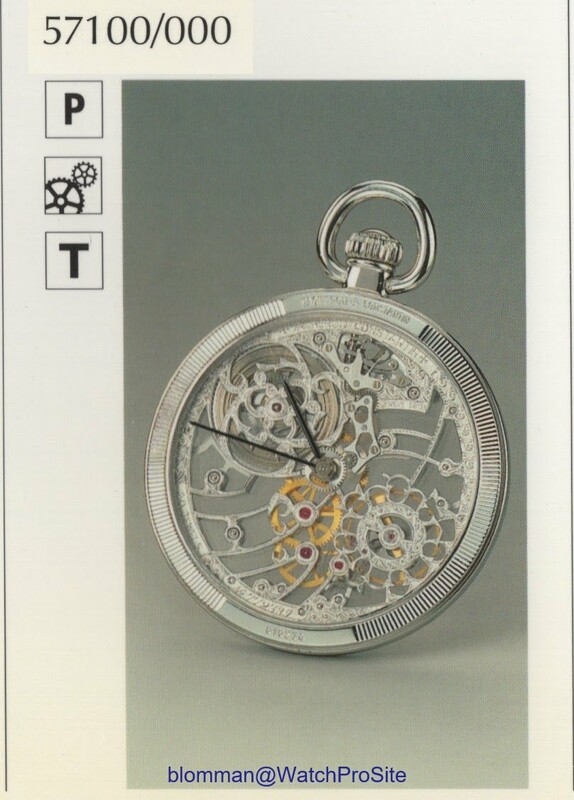 Leafing through some of my old catalogues, this Vacheron Constantin Pocket Watch got me looking twice! Skeleton Pocket Watch reference 57100/000. Normally I am not much for "Barock" Skeleton movement... But this one I really like! 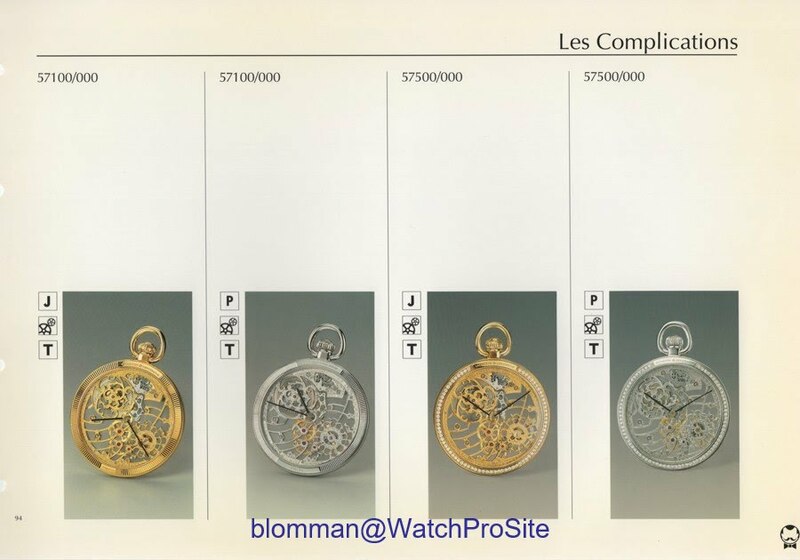 The catalogue which is an old boutique sales book only have the number and the picture. No other text at all - not even a year of printing! Do anyone know this Pocket Watch?! Any information would be highly appreciated! 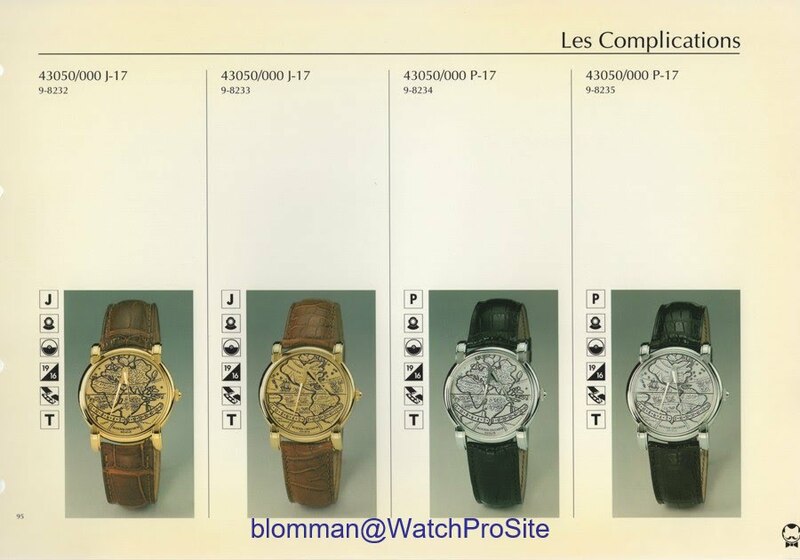 Another dream watch inside the same catalogue is also the Mercator. Another absolutely fantastic piece from the VC Manufacture! Do you have any closeups on the dial? do you know what the T means? what technique the dial was manufactured?Lacquer? As it's the only thing in common I can think of between the Mercators and Pocket Watches that are shown. Various dials were made, the monochrome ones were engraved and there are some beautiful, colorful, enamel dials as well. I'm sorry, it's been awhile for me to remember all the details. So I can't say for sure if all monochrome dials were engraved. Still a big time lover of vintage V&C, but have stepped away for awhile. Thank you for the additional scans and shots! Seam to be a variation of that movement, and shows off the naked back.. I haven't seen one of these in a long time!